Cannabis use has been around for a long time but with the pending legalization in Canada, legal recreational use in 9 states and the District of Columbia (although still illegal federally) it’s got Canadians asking questions about how it will effect their travel be handled by insurance companies. First, cannabis is still illegal in Canada, it’s in Royal Assent until October 17, 2018 when it is expected to become legalized but it is not legal, yet. The bottom line on travelling with cannabis or CBD oil is don’t do it beyond Canadian borders. Whether you are crossing an international border into or out of Canada you are committing an illegal act and can be subjected to criminal penalties. But, Health Risk Services is an insurance provider so we want to inform you about what effects cannabis use has on your Emergency Medical Insurance. It’s not an automatic denied claim if cannabis use is involved but there are rules and it’s best that you’re are aware of them before you travel. If a claim arises due to the abuse/misuse of cannabis, then the claim would be denied, whether or not it was legal in the country or US state you’re travelling in. So if you’re abusing cannabis (or any drugs) and you get in an accident that requires a medical claim, you will be denied coverage. If the cannabis was recommended by a doctor and was taken for medicinal purposes (and not being abused/misused), then a related claim may be covered, whether or not it’s legal in the location the claim occurred. Again, like any drug, don’t abuse or misuse it and you can maintain your coverage. • If legal, then the claim may be covered. • If illegal, the claim would be denied. A good approach to cannabis use in a country, or state, where it is illegal is don’t do it. Check the website(s) for where you are travelling to and do your research about cannabis and the government’s policies. Cannabis may not be a big deal in Canada but it’s a huge deal in other places. 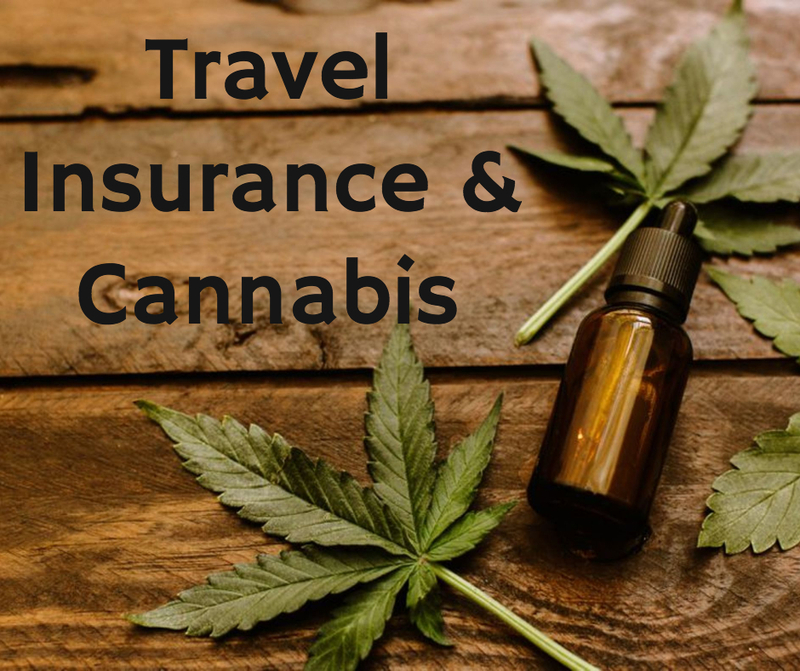 Trip Cancellation Insurance would not cover a claim made by a traveller who is denied entry because of possession of cannabis, nor would their trip be covered if they were denied entry because they’re banned due to a previous cannabis declaration. These are not covered risks of the policy. Do not take cannabis outside of Canada, period. Emergency Medical Insurance is a necessary part of any vacation and if cannabis use, for medical reasons or recreational pleasure, is part of your life be sure you know the rules and how it could effect your emergency medical coverage. For more information send an email to info@healthrisk.ca or give us a call 1-877-236-9430. Health Risk Services offers Emergency Medical Insurance, Benefit Plans, Corporate Insurance and Individual Insurance.